I came across the ELM327 adapter and the Android application Carista. It was the application that really interested me. I decided to test it and finally I want to talk more about it. I have been using ELM327 Bluetooth OBDII scanner for no two years in the car, and Torque has been installed on the smartphone thanks to which it is possible to take readings from the sensors installed in the car (temperature, speed, engine speed, acceleration, etc.). A cool application, there are a bunch of plug-ins, but I did not really like it, I played it a couple of times and that’s it. Installed Carista on my Android smartphone. I’m very surprised with the functionality of the application! Firstly, he can adequately read errors. Secondly, the most important thing is how to code additional functions (auto-closing doors, change the amount of flickering of comfortable turn signals, etc.)! 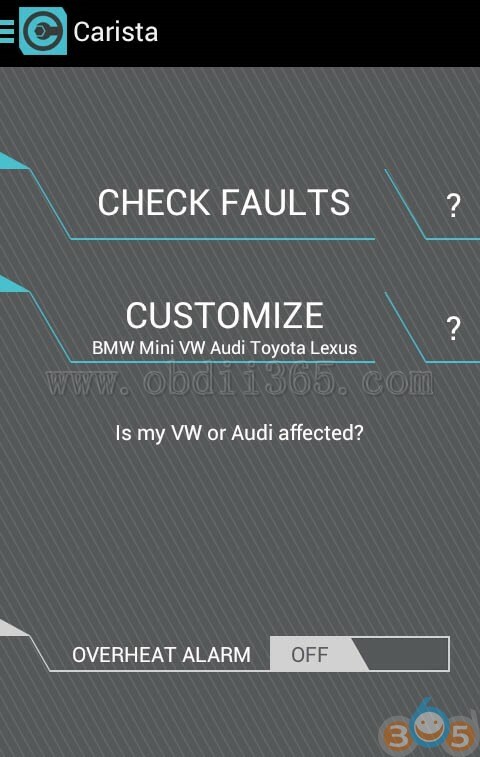 You can absolutely encode the available additional functions without a VAG-com and a complicated ODIS-diagnostics. And so we will dwell on this in more detail. The first thing we need is the adapter ELM327 . In China, such an adapter costs about a couple of dollars. The adapter has built-in Bluetooth. 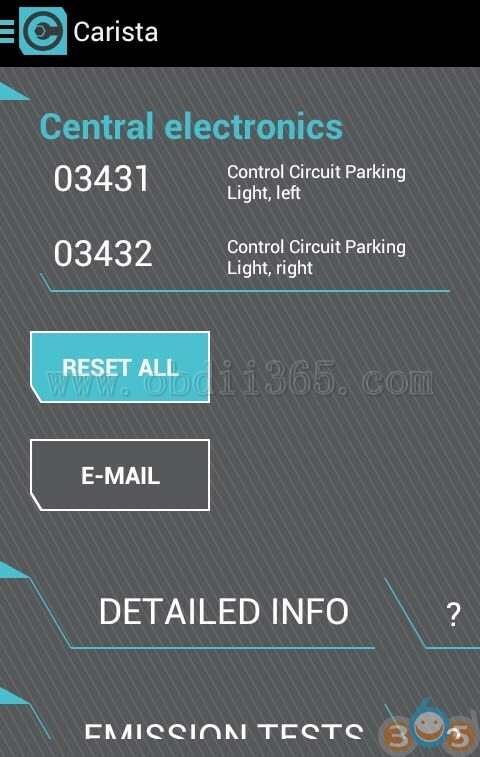 Somebody said Carista does not recognize the ELM327 version 2.1, however the ELM327 version 1.5 no issue, if you recognize them and make the diagnosis. So better choose ELM327 1.5 interface. 1). 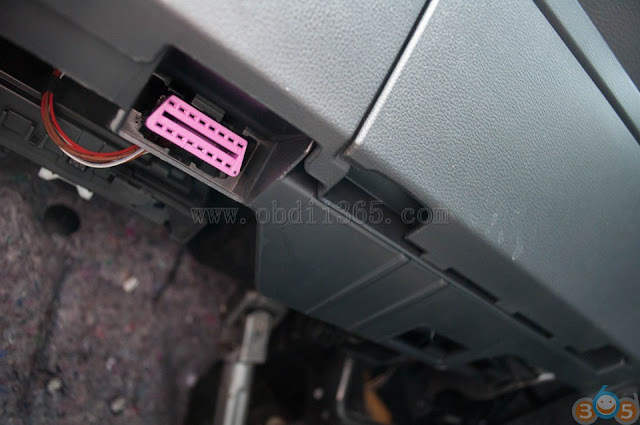 Find the diagnostic connector. 2). Usually the connector is located under the steering column, at the very bottom of the dashboard. 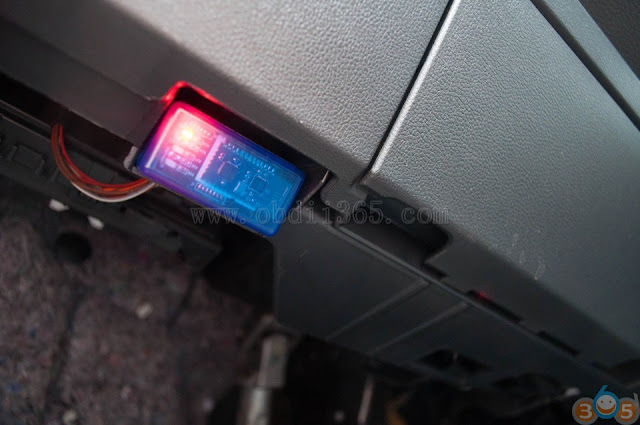 If you are first looking for a diagnostic connector in your car and it is not helping with your fingers, you can kneel down and look under the dashboard. The result will not take long. 3). We stick the ELM327 BT adapter into the socket. If you can not stuck – turn it upside down and try again (like with a USB stick). 4). After that, turn on the ignition and take your precious smartphone, which you must first download and install Carista . 5). The first time you connect the adapter to the phone via Bluetooth, you need to pair them. 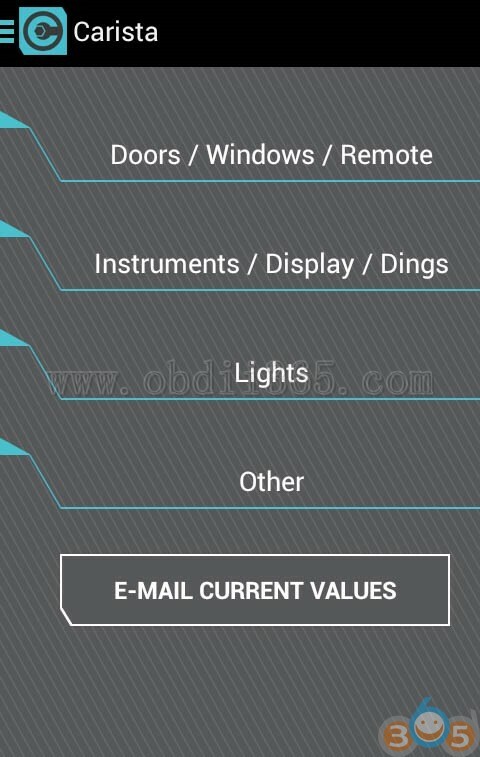 On the smartphone, turn on Bluetooth and look for available devices for pairing. 6). 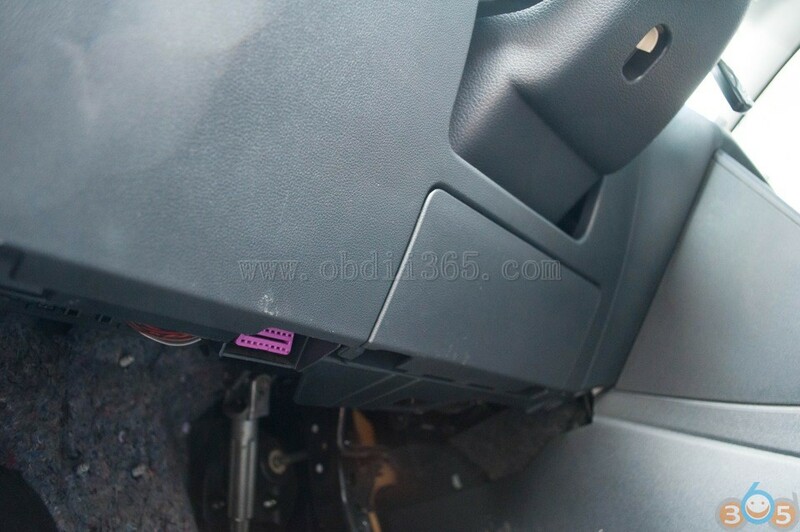 After we found the device OBDII select it. For pairing, you must enter the password 1234. 7). 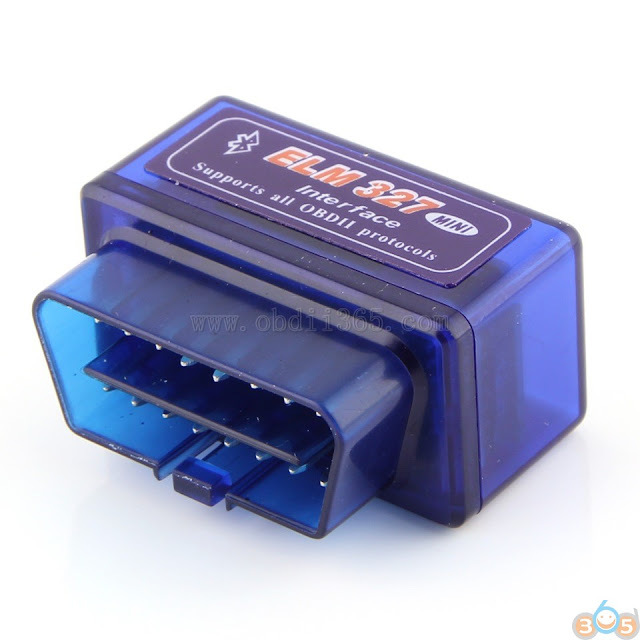 Now the ELM327 scanner adapter and smartphone are interfaced and the next time you plug the adapter into the connector, it will automatically connect to the smartphone. I found two mistakes myself – something connected with the headlights. This is what I got to activate / deactivate. Still available, but it did not turn out to activate the daytime running lights (those that are installed in the fog-lights, I do not have one), the Coming / leaving-home functions (but you need a light sensor) and a couple of small things. In general, for those who want to read errors and without activate / deactivate hidden functions – ELM327 + Carista are ideal thing. I recommend! Note: The document was translated form Russian. Credit to Mr.WanDerWin. 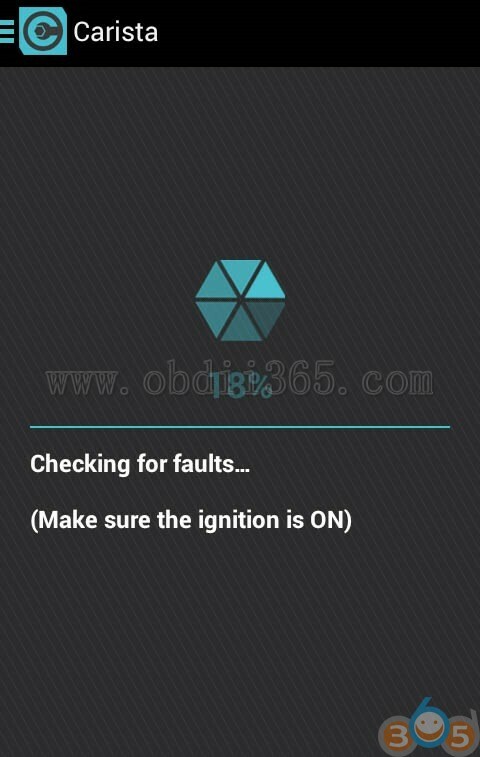 This entry was posted in Car code reader and tagged Carista app, elm327, elm327 bluetooth on July 17, 2018 by obd365.